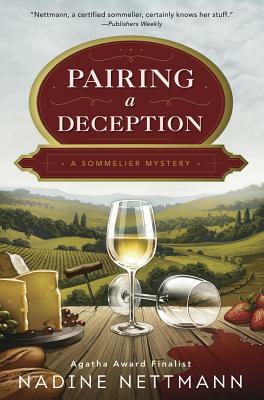 Katie is on Cloud Wine at a Santa Barbara Festival...until a new mystery is uncorked. With only a few days left until her Advanced Sommelier exam, Katie Stillwell hopes to balance studying with attending a wine and food festival in Santa Barbara. The weekend with Detective Dean is off to a great start--until an attendee is murdered and suspicion falls on the festival emcee, Master Sommelier Hudson Wiley. Katie tries to keep her focus on the festival and her last-minute studying, but when she discovers people aren't who they say they are, she finds herself in the middle of a tangled web where nothing, except the wine, is what it seems.